“Arrows” was one of the first patterns that I developed for my new fabric collection. I wanted it to have a painterly effect where the brushstrokes were evident. We’re offering it in 10 colors from neutrals to more vibrant hues. It’s a versatile pattern that could work in a range of aesthetics and rooms depending on the color you choose. Here we’ve used it in the graystone color and paired it with camel and blush pink as an accent. 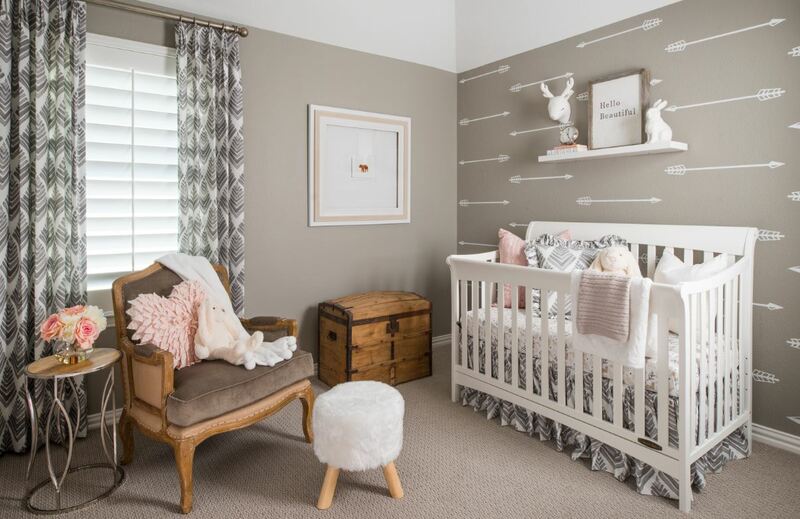 This scheme lends itself to a vintage vibe and makes for a soft and sweet nursery. The ruffled edge around the pillows offers a frilly, girly feel. The pattern’s scale works for many uses – drapery panels, pillows and even the crib’s bed skirt. 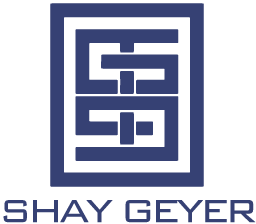 Cut yardage and pillows from the Shay Geyer Collection are available to purchase at IBB Design Fine Furnishings and at ibbdesign.com. Ask one of our designers for a quote for custom drapery and bedding made from these fabrics.